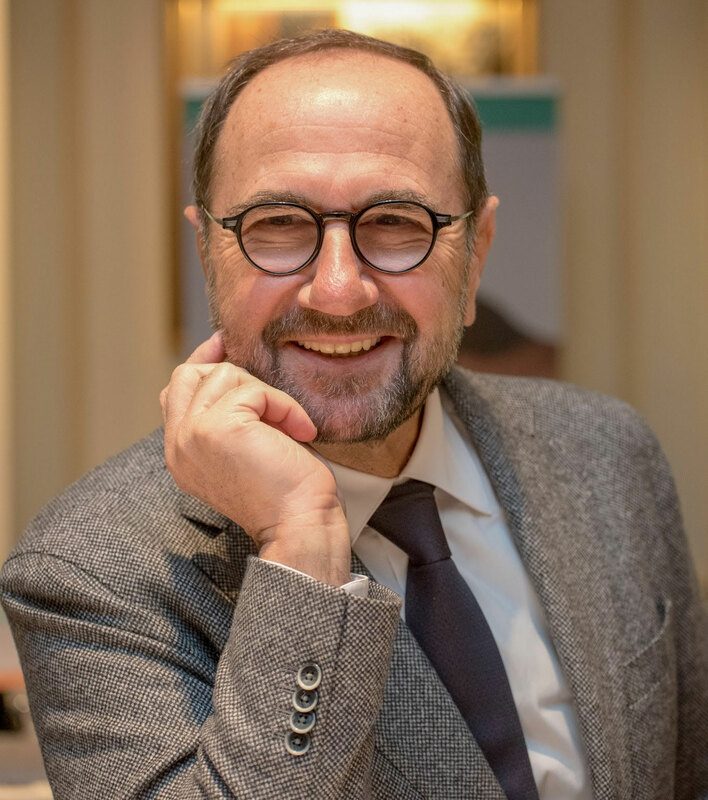 At the opening ceremony of the 14th Worldwide Hospitality Awards, Georges Panayotis, founder of the event and President of MKG Group, spoke at length about the difficult relationship of the hospitality industry and distribution. For many years, I have observed marketing and distribution in hospitality and I am surprised that it has come to this conflict today. Admittedly, the hotel industry has always had a problem with the external market. Remember! Not too long ago, hoteliers were reluctant to pay commissions to tour operators and travel agents, because the hoteliers believed that they were delivering a great service by lodging their clients. Then came the time of reservation centers, like Utell, National and SRS... computer platforms founded on the GDS model, but which didn't have the same success. Not to mention the attempt, in France, of Sesamtel, the precursor to OTAs on Minitel, a tool invented by hoteliers but who had to stop because of a lack of support from a wider audience in the profession. Hotel groups were initially focused on internal solutions to control their distribution. But the implementation of these computerized platforms, whether Resinter, Holidex, Hilton Reservation or any of a multitude of others, was regarded as an operating cost, which had to be minimized, rather than as an essential marketing investment. Undoubtedly, ambition was lacking at the time! Airlines have taken a different path by creating GDS, thus gaining the collective means to negotiate with online retailers on equal footing. By the way, their discussions must be carefully followed by hoteliers, so as to make sure the deals they may seal are not to the detriment of the hotel industry, especially in "big data" sharing and customer management, not to mention the confidentiality of the personal data of our own customers. But such a threat is already taking shape when a company like Air France-KLM, founder of the Skyteam alliance, chooses to manage the hotel bookings of its passengers through Expedia. The shift towards the Internet came late - too late. The hotel industry did not believe that this sales channel would grow so quickly. It is important to acknowledge one's mistakes and weaknesses in order to correct them. And if the OTAs have become so powerful, it is because hoteliers facilitated their entry into their business. Today, the question is not about how hoteliers may kick them out -because they are in our homes already- but about how we can still stop them from helping themselves to the fridge and putting their feet on the table. Who knows what the future holds? History has proven that monopolies are made and unmade and yesterday's dangerous predators fill the museums of Natural History. Let's not forget that the OTA channel is only one channel among many others, which only accounts on average for 10 to 15% of the total turnover of our hotels. We must certainly not neglect other channels which, overall, are much more significant. Control of the digital economy is essential, but it is certainly not the only priority. The hospitality industry must highlight its strengths, reputation and content of its brands. It must regain control of its direct relationship with customers. To each his own business! It is not normal to leave reputational management to external stakeholders such as TripAdvisor. The credibility of this company has often been questioned, especially as it changes from its original role as a community sharing site to enter the business of reservations. There is really something wrong with that! CRM and the management of customer satisfaction are and shall remain the responsibility of the hotel! I invite you to look at what is happening in other industries that have been disrupted by the arrival of online sales. The reaction of certain big brands should inspire you. Just look at the success of the new generation of boutiques that are unconvinced that intermediaries are essential. Nespresso, Apple, Nike, Adidas... and Sephora, among many others, have federated a real community around their brand and completely regained control of their distribution. These brands have been able to make their "Stores" showrooms of their expertise. They generated a genuine public through spatial planning, by scripting environments, the quality of the welcome, the competence of staff, the variety of services and especially the choice of a strategic location. They were able to give the point of sale the means to be efficient. Are we sure that we have done the same thing in our industry? While location is one of the keys to success, it also depends on the hotel's urban or tourist environment. We are fortunate that the major gateway cities are affected by a lack of hotel development and regularly appear full. Will it always be so? The Asset Light policy has shown its success but also its limitations. While groups are now selling assets at a profit, it is because they were able to get them out of land when demand was growing rapidly. It is at these times that new concepts emerge. This is also part of our job! You see, there is a long way to go and patterns of thought must change dramatically. First of all, closer cooperation will be required among the hoteliers themselves. While competition is part of our business, we also have a collective responsibility to catch the major shifts in our industry. Each year brings new upheaval. Yesterday, apartment rental between individuals was a marginal phenomenon, but the Internet has given it an industrial dimension. The market for commercial accommodation is unregulated and we cannot accept unequal rules of the game. It is imperative to implement fair practices. Like Barack Obama, François Hollande expressed the will to make Tourism a national priority. The Minister of Tourism, Sylvia Pinel, organizer of the future National Conferences on Tourism, must put this will into practice.